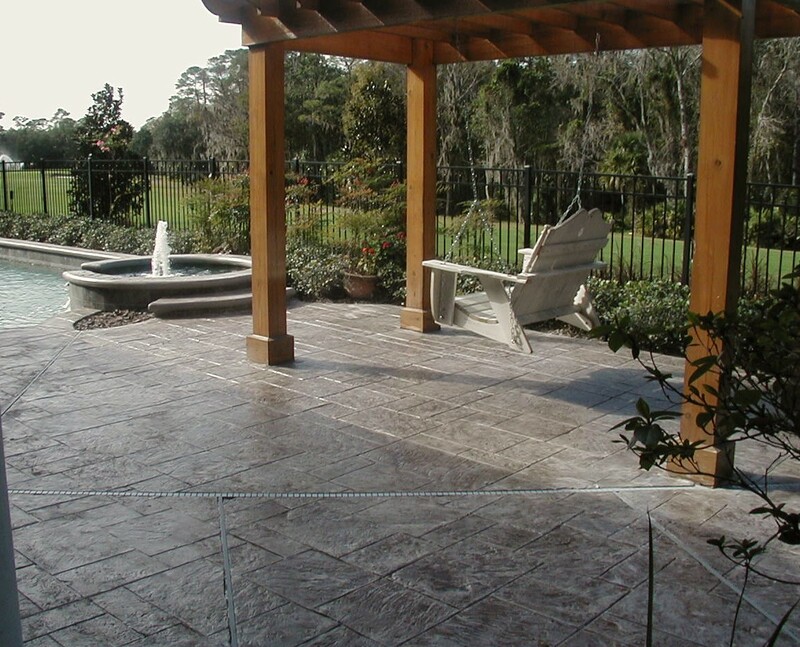 Concrete stain can be applied to new or old and plain or integrally colored concrete. The most important consideration is the condition of the surface. Concrete, like wood, is the perfect canvas for stains because it's porous. But if the surface is cover ed by grime, glues, coatings, curing membranes, or sealers that inhibit the stain from soaking in, the stain won't be able to penetrate fully and do its thing. A simple test you can conduct for porosity is to sprinkle the concrete surface with water. If the water beads up and can't penetrate, neither will a stain. The distinctive stain look is described as antiqued, variegated or mottled. This distinction allows a more custom approach, rather than uniformity, and gives stained concrete it's broad appeal.